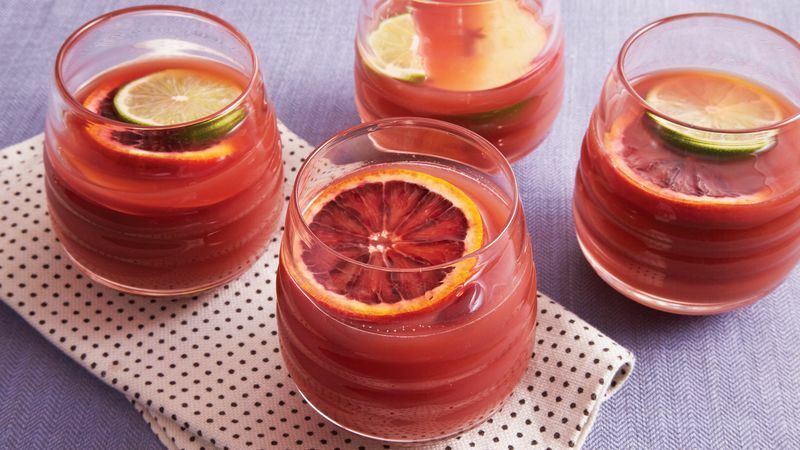 In large pitcher, stir guava nectar, wine, orange juice, sugar, liqueur and lime juice until sugar is dissolved. Add orange, lime and apple slices. Cover and refrigerate overnight. If blood oranges are not in season, use sliced navel oranges or tangerines that aren’t as sweet. Bottled blood orange juice is available year-round and can be found with other refrigerated juices in the produce section.